Steve Wohlmuth is a one-man army when it comes to advancing geographic literacy. A teacher at Central Kings Rural High School in Cambridge, N.S. with more than 25 years experience, he has taught Grade 10 physical geography, Grade 11 Canadian geography, and Grade 12 global geography. Recently, he has been teaching an online course on AP human geography and geology to provide students across the school board with more course options. He has also mentored and supervised more than 20 new teachers during their practicums. Beyond the classroom, Wohmulth has spoken at several conferences around the world about the effects of climate change. What do you want to impart to your students? An appreciation for people. All geography is taught from different angles, whether it’s from an economic or a physical perspective, but the stuff that I want kids to get is to have an appreciation for differences. The other is for culture — viewing and interpreting a person’s beliefs, traditions and values. We’re pretty homogenous in our rural setting, so they don't have as much exposure to multicultural society as in an urban setting. How do you expose them to different cultures and ways of living? We study for several weeks the standards of living globally and discover that there are great differences in that. At one international social studies conference in the United States, I met a gentleman from Malawi. We talked and it was apparent that schools in Malawi were quite different than schools in Canada. I tell my students about him, and what I say to them is that it’s one thing to study something, but it’s another to react to something. What we’ve done over the last 10 years, since I met him, is put school supplies together and send them to Malawi. That’s a real strong connection, not only to the curriculum, but to being a better Canadian and global citizen. This is an avenue where the students can express themselves outside the curriculum, and they quickly find that education is not a level playing field. What do your students say about what they take away from your classes? I teach mostly Grade 12 and some of those students are going on to post-secondary studies. One of the most interesting things is how they embrace the course and it prepares them. The theme that seems to come out is that we've built a foundation of understanding what geography is, which is people and place. The geography is different everywhere they go, but by understanding those differences, they were able to adapt a lot quicker as individuals. What role do field trips play in your classroom? We took students to Iceland and did actual studies — on geothermal energy and the culture of the Icelandic people, and natural disasters like volcanic eruptions and their local and global impact. We actually went up and took thermal measurements around a volcano, and then we brought all the data back and made assignments. The kids were participating in the development of the curriculum. We also had kids travel in the opposite direction, to Hawaii. They were able to do mitigation studies on natural disasters like tsunamis, on volcanism, on biodiversity in the rainforest. 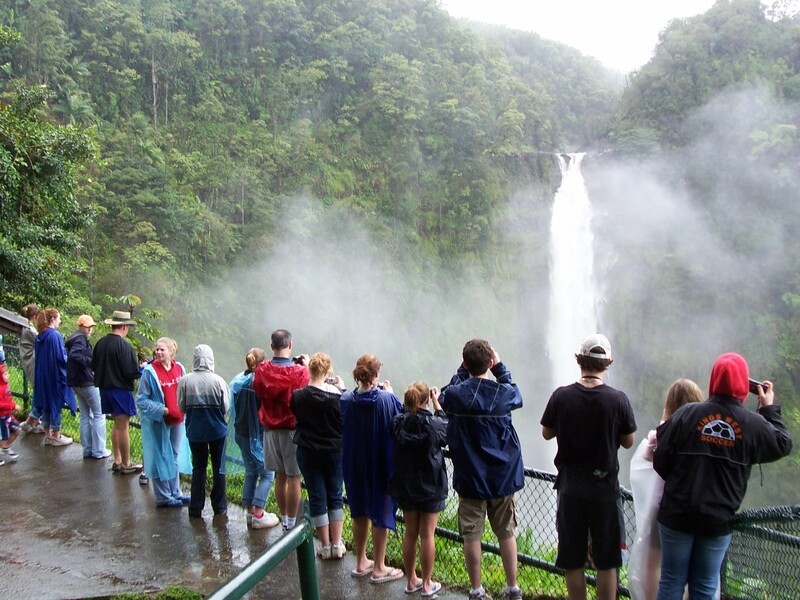 At the time we were there, the islands were experiencing higher than average rainfall, so we put together an assignment about climate change and had the students think about how it might affect them personally. At the end of the day, we’re trying to get them out of the classroom and make geography alive. What's something that stands out from your experience as a mentor for other teachers? I actually have my 20th student teacher this year. It’s one thing to educate a young person, but when you educate a teacher, who they touch later on is significant. Two years ago, I had a gentleman who went to teach in Alberta and sent a wonderful letter to thank me. You never think you’ll hear back from someone, but to me that's worth a lot more than money sometimes. It’s a really good feeling when you get to make that contribution to geographic literacy across Canada.